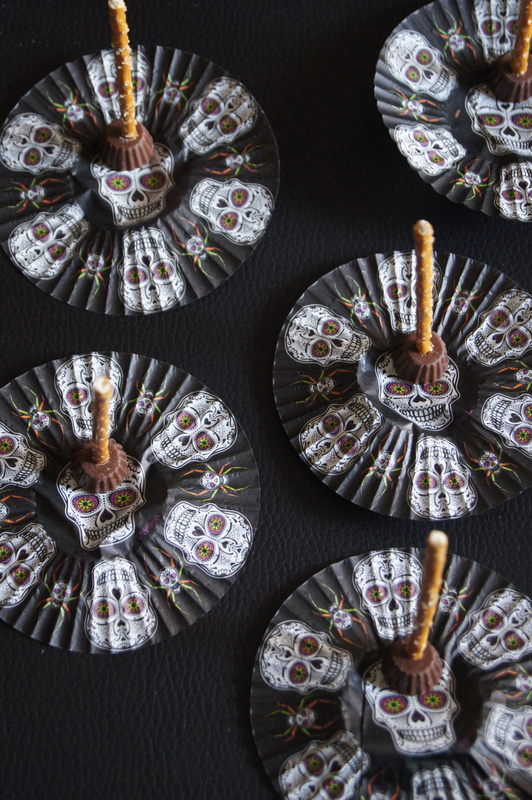 This is dedicated to all people like me on Halloween: non-crafty and saving Halloween stuff until the last minute. The answer was always “yes”. There are a lot of ambitious Halloween ideas out there like brain cakes and meatballs that look like eyeballs. But I know me. I’d start off with high hopes, get frustrated, and in the end my brain cake would look like road kill or the eyeball meatballs would look like rejected props from The Walking Dead. So I decided to keep it simple. 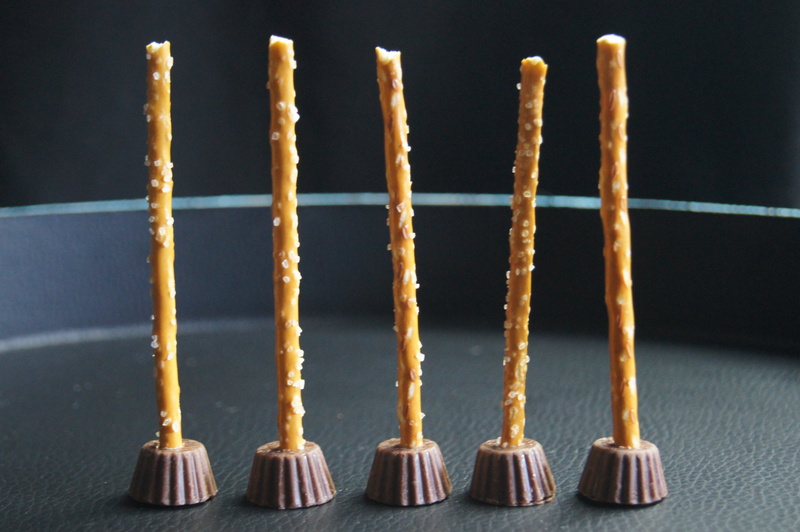 And honestly you can’t get any more simple than a Reese’s Peanut Butter Cup + a pretzel stick = a witch’s broom. Going to Target two days before Halloween I figured, I wouldn’t have a problem finding the ingredients. I mean, it’s two things. 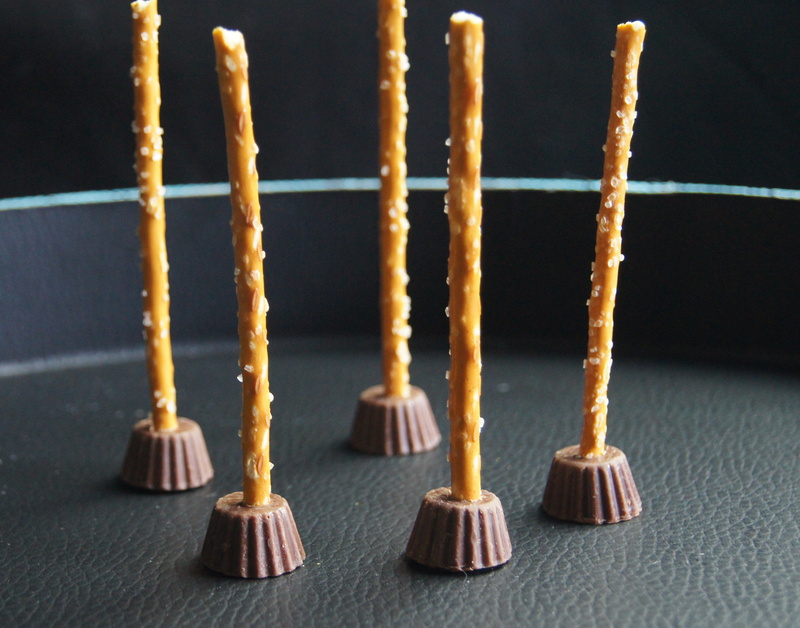 After making a detour to the make-up section, I found the pretzel sticks – no problem. But the Reese’s Peanut Butter Cups were cleaned out! Luckily, I spotted a bag of mini Reese’s Peanut Butter Cups. I knew they’d be tiny, but better than nothing, right? When I opened the package, they were way smaller than I had hoped. But that’s OK, everything is workable. I figure, these brooms can be for small clean-ups for the witches. So if you’re going to a last minute party and need to bring something along, these Witch Brooms will be super quick and easy to make. 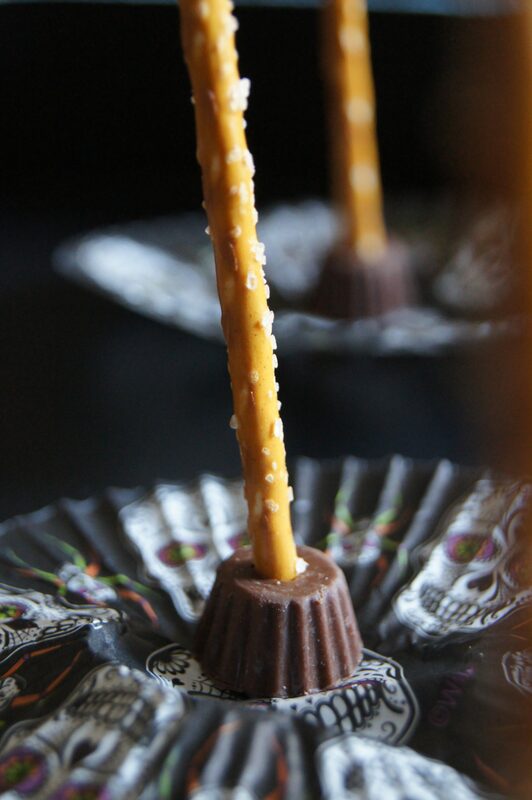 Or, if after trick-or-treating you find yourself with lots of Reese’s Peanut Butter Cups and pretzel sticks you can put them together and make these cuties. Plus, it’s a perfect combination of salty and sweet! 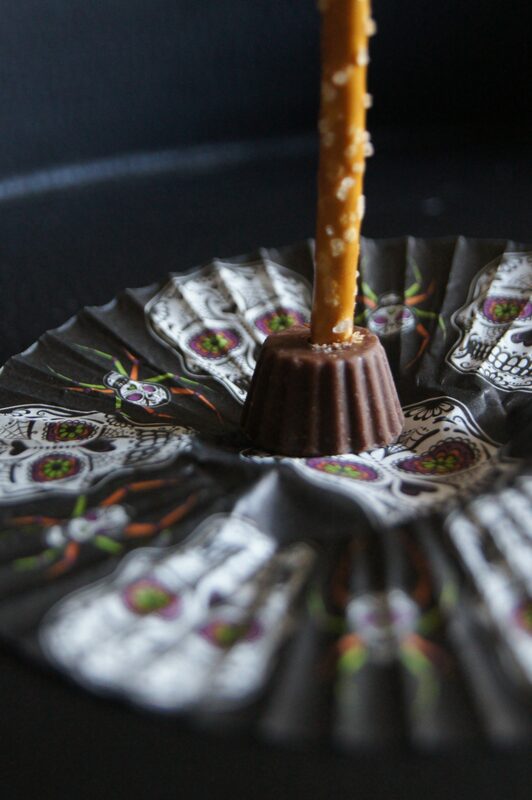 Place Reese’s Peanut Butter Cups upside down, with the wide part facing down. Insert the pretzel stick in the center and enjoy!